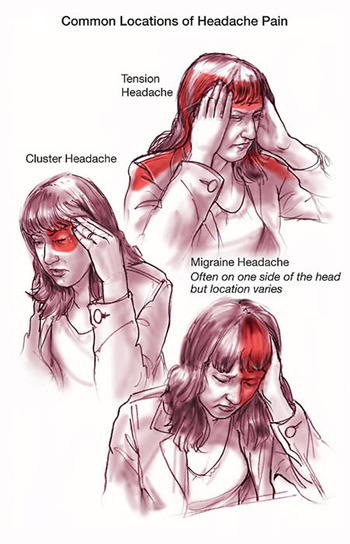 The most important step to evaluate migraine headache is to take a complete medical history of a migraine patient.So, it is important to diagnose migraine headache symptoms and its characteristics. It is important to tell the doctor what you feel when migraine headache starts. After the completion of headache history evaluation, your doctor will then perform a physical and neurological exam. The doctor will look for any signs and symptoms of migraine headaches. Neurological test will focus on judging the diseases of brain and nerves. The first step in the migraine headache treatment is a better diagnosis of migraine. Migraine symptoms alone are not sufficient for diagnosis of migraine. It is very important to find out other causes of headaches. Migraine begins with childhood to adulthood. With the advancing age other types of headaches are more likely to occur.